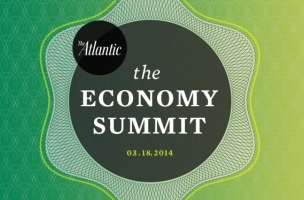 We know you probably have plans in the evening next Tuesday, but just in case you’re free during the day, the third annual Atlantic Economy Summit is being held from 9 to 5 at the Capitol Hilton. Sessions will cover the budget, private and public debt, finance, infrastructure, nextgen tech, international trade, and more. US Trade Rep Mike Froman, Office of Management and Budget’s Sylvia Burwell, Rep. Chris Van Hollen (D-MD) and Congressional Budget Office’s Doug Elmendorf will all be in attendance.